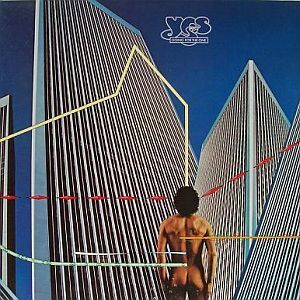 The last of the 'great' or 'classic' Yes albums. This one is tremendous throughout. I bought the original vinyl, housed in the classic gatefold cover. Not the best cover they ever had, and only marginally better than the following atrocious Tormato cover. (Housing some equally atrocious music!) Now I have the remastered cd, and still think this is one of their best. The title track starts the album off in an uptempo way, with Steve Howe especially standing out. Lyrically as obscure as ever, one wonders if Jon Anderson is ever really serious with his difficult and untenable words. The music, of course, saves the day. The second track, 'Turn Of The Century' is quite possibly my favourite Yes track of all time, and, for once, is accompanied by understandable lyrics! Yes folks, we can actually tell what this song is about. It is very poignant and moving, and I love it to bits. Superb acoustic playing by Howe, interwoven with excellent keyboards by Wakeman. Third track, and the final one on side one of the old vinyl, is 'Parallels'. I used to rate this track the weakest on the album, but in reality it is on a level with the others, especially in the bold and upfront organ playing of Wakeman. A nice melody too. Side two of the old record began with the minor chart hit, and shortest song on the album, 'Wondrous Stories'. Very tuneful and radio friendly this one, yet still displaying all the classic Yes themes and performances. Excellent. Finally comes, of course, the great epic, 'Awaken'. Superb is the word for this, a meandering yet controlled journey through different soundscapes, with, again, Wakeman and Howe especially magnificent. One musn't forget Squire and White in all this. Their performances are as good as ever, and so consistent, we sometimes tend to forget them. Squire is still probably my favourite bass player, although Jonas Reingold runs him close. All in all, this album is redolent of the 70's and worth all the hype that continues to surround it. I still find it hard to choose my favourite Yes album, but this is surely a contender, along with Fragile, Relayer and Close To The Edge. (Even Keystudio stakes a claim sometimes.) Essential listening for any melodic, complex prog fan. Yes fans who don't possess this should be ashamed of themselves!